I'm new to SEO. Where do I start? 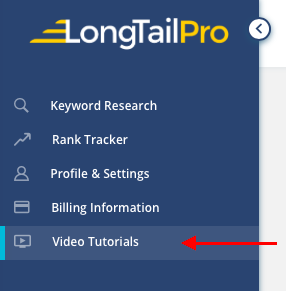 We put together a free 14-day crash course in SEO strategies for Long Tail Pro subscribers, available from the Video Tutorials page in the app. If you're new, we recommend you start here! Get advice from SEO professionals on our team. Use the in-app chat get answers to your questions about Long Tail Pro, keyword research, link building, or any other part of the SEO process!